She has been with Harbinger for more than 2 decades and has held several key positions like Delivery Head, Sales Organization Development Head, and Member of the Executive Committee. She has spent a considerable time in management and governance of the Harbinger Group’s business units, and contributes in strategizing the growth of the entire group. Some of her key responsibilities over the years have been leading the delivery organization, sales organization development, managing key client partnerships, and nurturing the right culture. Jyotsna has been instrumental in the sustained growth of a customer base for the group’s customers, ranging from global technology companies to startups. Her strong belief in treating customers as partners and adding value to their business at every step of the engagement helps her to make not just business relationships but sustainable partnerships. The Harbinger culture of innovation and inclusivity is something she is extremely proud of and endeavors to instill it within every Harbinger team member along with practicing it herself. As President -Harbinger Systems, she is responsible for growing Harbinger’s footprint across technologies, domains and geographies. 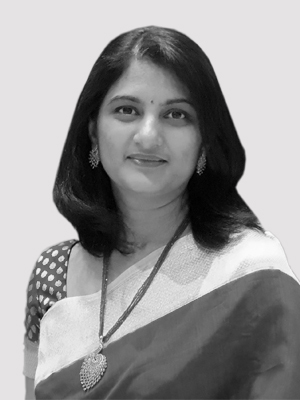 Jyotsna holds a Masters Degree in Computer Science, and has completed an Executive Management Program from Shailesh J. Mehta School of Management at IIT-Bombay. She has also completed an Executive Development Program from The Wharton School, University of Pennsylvania.